and can be used to collect personal information and engage in SMS spamming. Once it’s turned your phone into a “zombie,” it sends text messages that create financial gains for advertisers. In many cases, the threat will overrun a user’s bundling quota, which subjects you to even more unwanted charges.This has claimed to infect 600,000 Android devices as per a firm named NQ MOBILE. As per security week, researchers from TrustGo discovered a mobile threat targeting Android phones that was said to have infected roughly 500,000 devices, mainly in China. 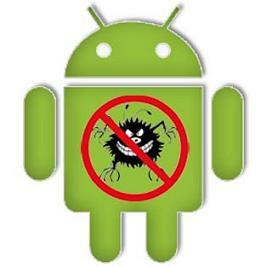 Called “SMSZombie”, the malware was little threat to users outside of China, as the prime function of the mobile malware was to exploit a vulnerability in the mobile payment system used by China Mobile, making it of little value to the fraudsters outside of China.As per NQ ” “Bill Shocker is an SDK-type virus (Software Development Kit). Our experts, using NQ’s RiskRanker system, found the virus attached to several of the popular mobile apps in China, including Tencent QQ Messenger and Sohu News,” the company explained.The malware is propagating via third-party online app stores and retail installation channels, something the company says is allowing it to “spread like wildfire”. As per NQ, they have notified Chinese mobile carriers of the threat, and has provided its technology to China’s top mobile carriers including, China Mobile and China Unicom as well as Baidu Mobile Services, to help reduce the spread of Android mobile deadly malware.